As a kid we always used waterproof sprays to make our hunting boots last long. Honestly, I’m not convinced we used the right sprays or applied them properly, but dad said it helped. When I got older I started guiding backpacking trips and we used similar sprays to renew the waterproofness of our tents and equipment. Today we have wash in waterproof chemicals, waterproofing sprays of different types, and certain ones that excel on particular fabrics. Don’t worry though, I won’t let you get lost in the weeds. We’re going to go through step by step and talk about the good, bad, and ugly of waterproof sprays. By the end of the article you should know what to look for and what to keep in mind when you’re shopping. I’m also going to get right into it and suggest a handful of the best waterproof tent sprays you can use to renew your tent or improved its water resistance. This is our top pick for the best waterproof tent sprays in this roundup. It’s available in your local store or online, reliable, affordable, and easy to use. When it comes to waterproof sprays it doesn’t get much better than that. While some of the brands on our list are new or obscure (doesn’t mean they don’t work well) most of you will recognize the Kiwi Camp spray from your local supermarket’s outdoor section. So, for hikers on long trips or thru hikers coming into town with tents that might be starting to leak, a quick trip to the local store is likely to turn up this exact product. 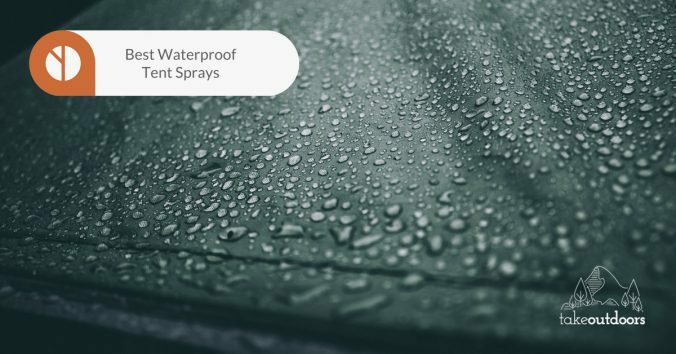 Fortunately, it’s also the best-loved waterproofing spray on our list. Users rave about the effectiveness and a single 10.5 ounce bottle can cover a generous tent fly with two thick coats. It’s also recommended on shoes, tent fabrics, and other outdoor gear so if you have some left over, go ahead and use it up! Best for reliable silicone based tent waterproofing on old weathered tents in need of refreshing. Scotchgard is a 3M product and that company knows how to make some innovative household chemicals. They’re responsible for our love of sticky notes and scotch tape. So it stands to reason that they would know how to make some good waterproofing, right? When I started to do some research on this waterproofing spray I saw mixed reviews. Some users complained and dragged down the reviews while others raved that it works flawlessly. So, I thought, how can it work great for some and poorly for others? I looked deeper and found that those who were dissatisfied were trying to use it to waterproof an outdoor pillow for instance. Of course, spraying a pillow might make the outer fabric resist water but it won’t prevent the inner fibers from getting soaked! That’s when I realized that all the positive reviews were from people using it correctly, on things like tent rain flys! It’s an ideal product for use on thin nylon and polyester fabrics like tents where the spray can effectively renew waterproof protection in single coat. Best for thin outdoor fabrics like nylon and polyester. I’ve worked for a lot of guiding companies over the years and repairing gear is part of the job. However, I’ll be the first to admit that I’d never heard of Atsko until I was doing some deep research. Now I wish I would have discovered it ages ago! Similarly to the problem with the Scotchgard I had to do some digging before I found out that many of the poor reviews about this product are from users using it improperly. It’s not a miracle waterproofer and it can’t make things waterproof that weren’t made to be waterproof in the first place. That said, it’s perfect for our uses! Assuming that you read through our buyer’s guide then you already know how to check and repair seam sealing. Once that’s done, it’s time to spray the rain fly. According to the manufacturer, you want to give this spray 72 hours to fully cure, so leave the tent assembled in a protected area for 3 full days before packing away. Best for heavy waterproof restoration on tent rain flys that have been repaired. McNett is a great brand and they’re one of my go-to products for seam sealing. For that reason, you’d think they’d make a great waterproofing spray as well, right? Can be used on paper maps! I will admit, I’m hesitant about any silicone free waterproofing on outdoor fabrics. However, that doesn’t mean it can’t work. Plus, thanks to the gentle waterproofing chemicals, you can even use this spray on paper maps to make them water resistant! As a note just make sure that you get enough of these cans to cover larger tents. The 5 ounce bottle isn’t going to cover a whole lot of area. Honestly it feels a bit wasteful to have such a small amount in a can. I would like to see McNett go up to a 10 ounce + size like most of the others. 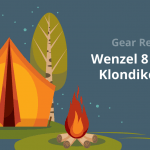 Best for smaller tents or outdoor fabrics that need waterproof renewal. Last on our list is another Atsko spray but this time it’s packing a few extra punches that we haven’t see in other sprays so far. Surprisingly it’s still quite affordable and comparable to the other sprays on our list if you’re worried about budget. Another silicone free waterproofing spray on our list? Gasp! But does it actually work? Atsko seems to rarely miss with their waterproofing products and this one is ideal for the extra protection it brings to the table. It’s specially formulated to not only restore waterproofing but also protect from UV and mildew. UV and mildew both discolor and break down tent fabrics like nylon and polyester over time. Sure, there are sprays out there that are made just for UV or mildew protection, but why not roll it all into one spray? Best for a once-yearly application to protect from water, sun, and mildew build up on wet tents. When it comes to waterproof tent sprays there are usually two methods of application. You can either buy the spray in a pressurized aerosol bottle or you can buy a spritzer bottle that you hand-spray. 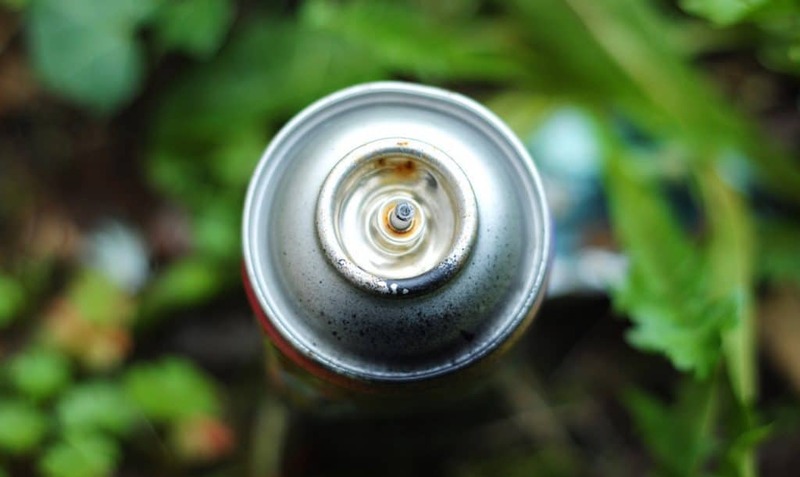 Aerosol bottles are usually metal cans that have been pre-pressurized with some type of gas. Today companies are better about what types of things are used to pressurize these bottles, but in the past (and to some extent still today) aerosols are known for being pressurized with harsh chemicals. Most of us outdoor enthusiasts probably prefer to minimize the spraying of weird and unknown chemicals so there’s another choice. The spray bottle is your classic household cleaner style bottle with a little hand spray lever. Pull the lever and the bottle spritzes out some fluid – in this case a waterproofing spray. The disadvantage of hand spray bottles vs aerosol is that aerosol applications can be engineered to produce a much finer mist of particles. This fine mist usually does a better job of applying an even and penetrating layer of waterproofing substance than does the hand applicator bottle. As we’ll talk about later, the best waterproofing for tent fabrics comes from silicone products. Silicone is a soft waterproof material that’s used in all sorts of household stuff – even oven mitts! While there are many different waterproofing sprays out there, most of the best ones for use on tents are based on silicone. Be careful that you don’t accidentally get a “stain resistant” spray for use on clothes. These stain guard style sprays just won’t hold up to use on your tent. Generally speaking tent waterproofing or boot waterproofing sprays apply a much thicker, heavier layer of waterproofing material than those meant for clothing stain protection. How effective your waterproof tent spray actually is will depend greatly on what you’re starting with. 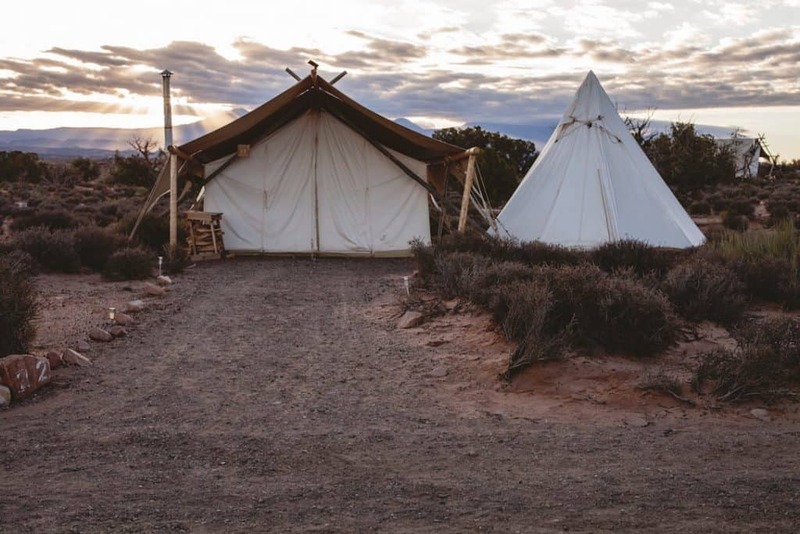 There are several different types of tent fabric and understanding them will help you know more about what you’re getting into. Silnylon and nylon are man made fabrics that are very similar to the same material used in plastic bags. This material is processed into fibers which can be woven into nylon fabric of various thicknesses. Silnylon is just nylon fabric that has been impregnated with silicone. This silicone is the important waterproofing element of the fabric. Silpoly and polyester is a similar man made fabric in many ways. It’s less stretchy than nylon under loads and when wet. However, it can be a bit more expensive and only certain specific weaves of silpoly make ideal tent bodies. Both silnylon and silpoly make good tent bodies but the quality of the fabric and the silicone impregnation are an important and often difficult to understand factor of the overall picture. Many manufacturers offer very little information about the details of their fabric types. A rarer but important tent fabric known as Dyneema Composite or Cuben Fiber is even more waterproof than either silpoly or silnylon. This ultralight fabric is also ultra expensive but is made from a fully waterproof impermeable sandwich of plastic mylar and dyneema fibers. Cuben fiber never needs waterproof spray. A word to those of you who might be using old military surplus gear such as the old duck cloth tents. These waterproof sprays will not make your tent waterproof. Waterproof sprays like this work by creating a chemically bonded layer of waterproof material on the surface of the fabric. On very tightly woven fabrics like modern nylon and polyester, this works great! On fabrics with larger weaves, like cotton and duck cloth canvas, the space between each fiber is enormous compared to nylon and polyester. These waterproof sprays cannot properly fill and protect those larger weaves and you’ll soon be disappointed when your tent eventually begins to leak again despite your efforts. You’re probably researching waterproof tent sprays because you’ve realized your tent has a leak. But will waterproof tent spray actually help? Before you go with waterproof spray you need to be sure the leak is not coming from a puncture or seam. Punctures are easy to spot and can be caused by sticks, branches, tent stakes, or clumsiness. 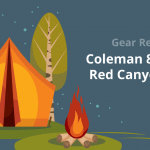 Leaks along the seam of your tent might be harder to identify. Seam tape is a thin strip of waterproof material applied at the factory over the sewn seams of your tent. Invariably this tape will lose its stickiness and begin to peel off after a couple of seasons, even if you don’t use the tent. 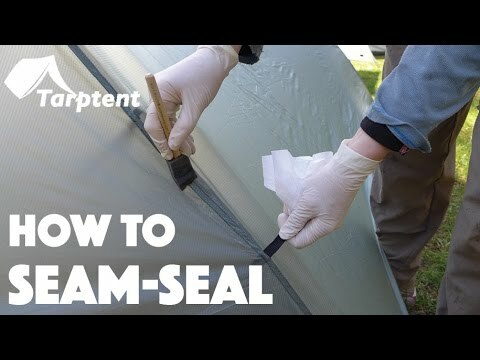 Check the seams of your tent to see if your seam tape is beginning to peel. Silicone seam sealing can be done at home or at the factory and usually provides much better results. Diluted silicone is brushed onto the seams in a thin layer which penetrates and seals the puncture holes left by the sewing machine. This method can be used to repair old seam tape that is beginning to peel. 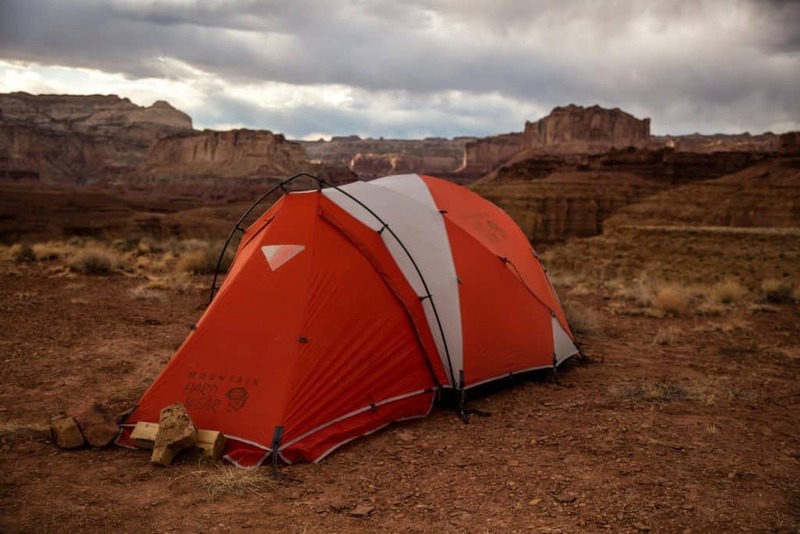 Now that you’ve inspected and repaired your seams, if the leak is still occurring then you probably need to re-waterproof your tent with a spray. To get the best results from your waterproof tent spray you’ll need to follow a couple of simple steps. 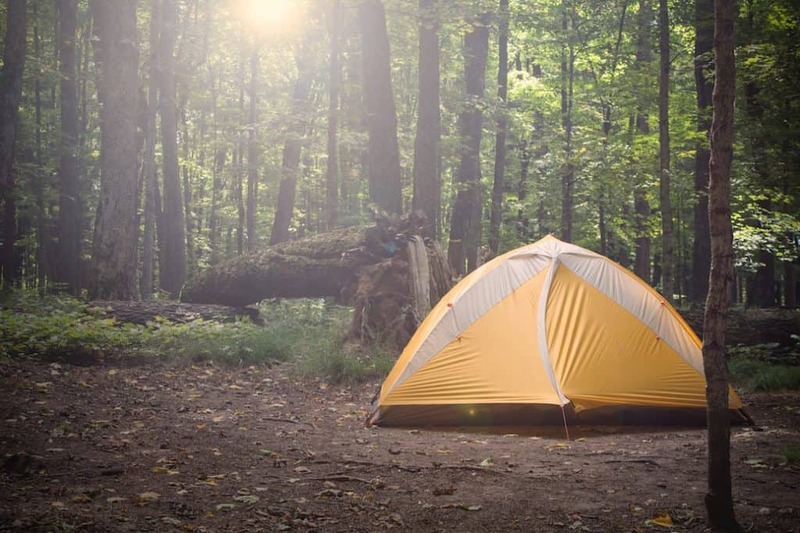 Set up your tent outdoors in the sun for a few hours until it’s completely dry. Bring your tent into the garage or other covered space with minimal wind and sun exposure (direct sunlight can be hard on the waterproof spray chemicals). Spray in generous even strokes, overlapping each pass by an inch. Do not overspray! Drips and runs should not be present. If you notice a buildup of excess spray on the fabric move your spray faster or back off a few inches. Let the spray dry overnight before taking your tent down and packing it away. It’s okay to apply more than one layer of waterproof spray as well. If you feel that your tent needs extra waterproofing or if one layer didn’t work well enough repeat the processes as many times as needed. 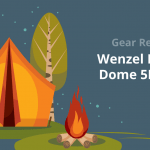 Can I Waterproof a Tent That Wasn’t Already Waterproof? The simple answer here is no. If you buy a crappy tent and it’s not actually made from quality waterproof materials then no amount of waterproof spray will help. If your tent originally was waterproof and it just needs a little help getting back on track, waterproof spray should help extend its life a few more seasons. To avoid this problem, make sure you fact check manufacturer’s claims. If you go to buy a tent and the manufacturer doesn’t clearly state what kind of waterproof fabric the tent is made from then just skip it. It may be junk. Can I use these waterproof sprays on breathable fabrics like Gore-Tex? The answer is unfortunately long and complicated. For breathable fabrics to work properly, the outer layer of nylon or polyester must remain dry (or at least not saturated). Over time waterproof breathable garments may lose their water resistance on the outer layer and “wet out”. Once this happens the garment may still be waterproof but it will lose its breathability. To restore breathability you’re best off using a wash-in DWR treatment. Do these sprays smell bad? Good question. The answer is yes and no. Most of them have some minor odor when sprayed on at first. Over the 24-72 hours while they cure the odor should almost entirely disappear. Once cured all of the sprays on our list should have little or no smell at all. If you spray your tent and then pack it up before the spray has a chance to fully cure it may continue to smell for a while. How many coats of spray should I use? For most of the heavy duty silicone based sprays on our list you should be good with one heavy coat. Adjust your spray distance and speed to apply a nice thick layer, but don’t get the fabric so wet that you get drips and runs. Using a heavy application like this should yield good results with just a single pass over the entire tent fly surface. When it comes down to it often you’re better off buying a new tent with a high quality rain fly to make sure you stay dry. But that’s expensive and most of us don’t want to cough up the cash! Waterproof tent spray can be as cheap as $5 and it just might save your tent for another season. If you follow our buyer’s guide and read through the reviews to find the best waterproof tent spray for your equipment, you should be successful at restoring the quality of your rain fly. 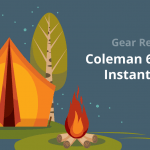 Remember that at some point tents get too old and too worn out to save and you’ll eventually have to give in and upgrade your equipment. Waterproof tent spray isn’t magic but if you understand its limitations and use it preemptively it can help extend the life of your gear! 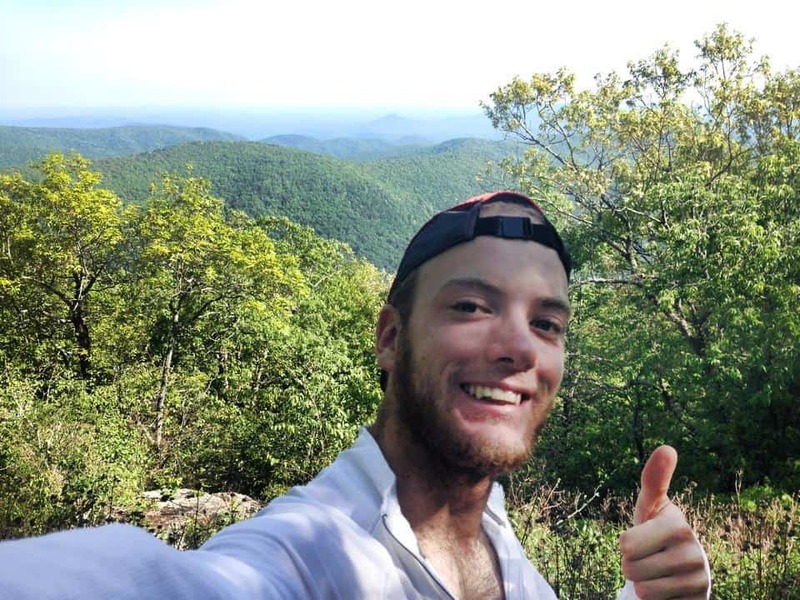 Casey has a degree in Outdoor Education and years of experience guiding and managing backpacking and canoeing trips. He now selectively works with clients guiding private ultralight backpacking trips. 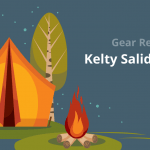 Casey loves the freedom of writing and his work can be found in many searches for how-tos and gear reviews in the outdoor space. He loves DIY projects around the house, punk rock concerts, and good mountain views. Feel free to contact Casey directly at [email protected].